The CJEU has published its judgment in the Dunai case (C-118/17) last Thursday, in which it continues to specify the terms of declaring unfair foreign currency-denominated loans, following on the Kásler case. The most interesting part of the judgment is actually the last one – on the competence of national supreme courts in setting binding guidelines for lower courts how to assess unfairness. Mrs Dunai concluded a credit agreement denominated in Swiss francs in 2007, even though the loan was advanced to her in Hungarian florints. Just like in the Kásler case, various exchange rates (buying and selling ones) applied to different calculations between the Swiss francs and Hungarian florints – i.e. between the conversion of the loan and its repayments. After the Kásler judgment, Hungarian legislator adopted new laws in 2014 trying to protect Hungarian credit consumers from the harsh effects of having taken out a loan denominated in Swiss francs, but it did not protect them against unfair terms placing the whole of the exchange-rate risk on the borrowers. One such clause was found in Mrs Dunai’s contracts. The last part of the judgment considers the scope that national supreme courts have in adopting binding decisions on how to interpret national provisions implementing EU law, so as to guarantee uniformity of this interpretation by lower courts. Issuing such binding decisions might lead to national supreme courts deciding on de facto interpretation of EU law provisions rather than just of national law, which competence belongs to the CJEU. 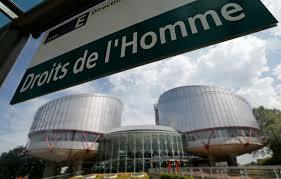 Still, the CJEU seemingly recognises the benefit of leaving the scope for national supreme courts to adopt such binding decisions, clarifying certain criteria in which light national lower courts must examine unfairness of standard terms, to ensure consistency in the interpretation of law and legal certainty (para. 63). This recognition might turn out to be illusory though, as the competence left to the national supreme courts may not take away the lower court’s rights to apply for a preliminary reference from the CJEU in these matters or to ensure full effectiveness of EU law and provide consumers with effective protection (para. 64).